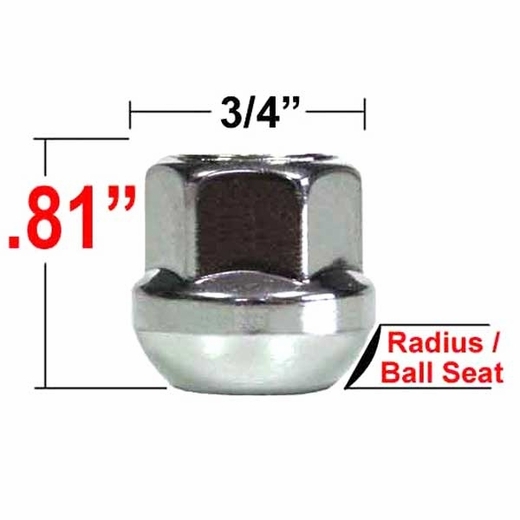 The excellent seating surfaces of Custom Wheel Accessories zinc lug nuts will snug your wheels for a smooth ride. The excellence in quality is evident with Custom Wheel Accessories zinc lug nuts. Custom Wheel Accessories zinc lug nuts will help your wheels keep turning true. A new set of custom wheels won't look custom without a new set of Custom Wheel Accessories zinc lug nuts.